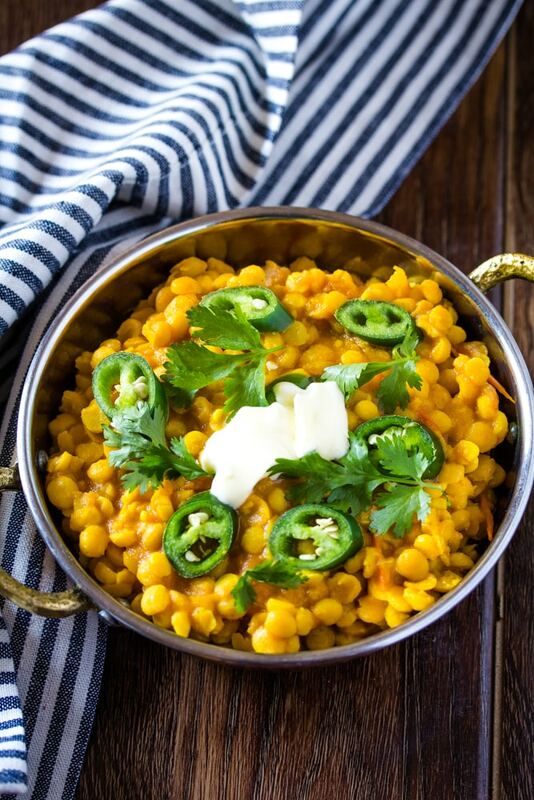 Chana Dal Recipe is a delicious vegetarian recipe that’s healthy and packed with protein. It’s also a very delicious dal that’s super easy to make! So let’s talk about dal today. I love making dal because it’s super easy and delicious. Given that this Daal is one of the most popular recipes on the blog, I decided its time to share another one of my favourite dal recipes…the very delicious chana dal recipe!! Chana dal is also commonly known as panjabi chana dal masala or chana dal fry. Its quite popular at small roadside restaurants called dhabbas. And served with roti and some salad or chutney, its a really delicious and comforting recipe. So What Exactly is Chana Dal? And is it the same as Chickpeas? Chana dal is bengal gram. It’s made from brown or black chickpeas that have been split and skinned and polished. 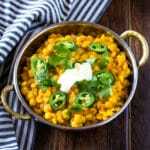 Is Chana Dal the same As Yellow Lentils? No, Chana Dal is made from split chickpeas. Yellow lentils are smaller lentils and known as moong daal. So How Do You Make Chana Dal? While in my recipe for Daal (Indian yellow Lentils) I boil moong daal with a few spices, for my chana dal recipe I use a different method. We start by soaking the chana dal in water for an hour or so. While the chana dal is soaking, I make a masala of tomatoes and onions in the pot. Then add the chana dal (after the water has been drained) and cook it with a little bit of water, in essence frying the dal for 5-7 minutes. Now add about 1 cup of water and cover the pot till the dal is cooked through. It will take about 25-30 minutes to cook the dal. Chana Dal only needs to be cooked until it can be easily squashed between two fingers. Unlike other lentils, chana dal is cooked until its just cooked through and doesn’t lose its shape. 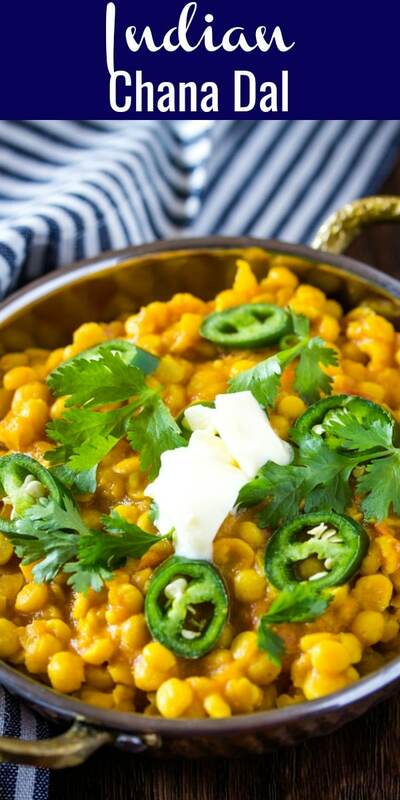 Once the chana dal is cooked, garnish it with green chillies, chopped coriander and butter. 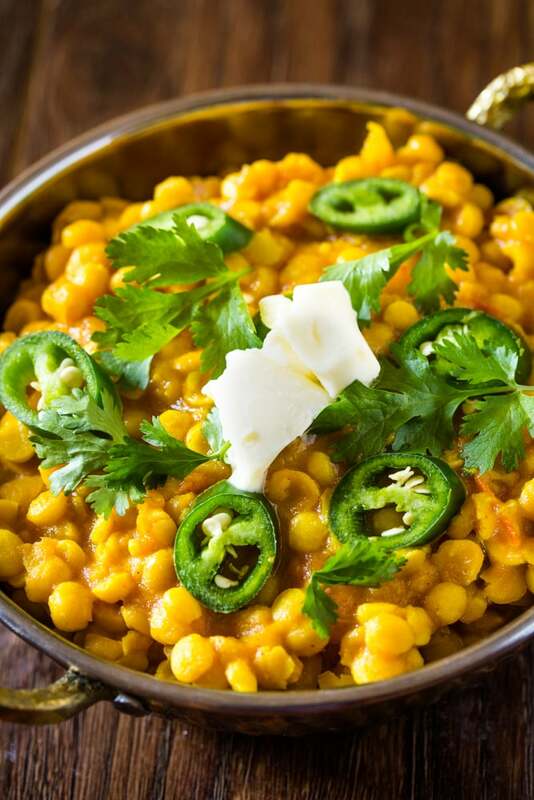 What to Serve with Chana Dal? Chana dal goes really well with roti or chappati. It’s also delicious with this Indian Salad and Green Chutney. If you’re looking for side dishes to serve with Chana Dal these Chicken Seekh Kebab or Aloo Tikki are a great option. Start by soaking the chana dal in warm water for about 1 hour. While the dal is soaking, start making your masala in a pot. Heat oil in a pot, and add the onion and fry until just light golden brown. Now add the ginger garlic paste and fry for 30 seconds or so. Cook on medium high heat, until the tomatoes are completely softened and the oil has separated from the masala. Now add the chana dal (after draining the water it was soaked in) and fry the dal for 6-7 minutes. Keep adding 1-2 tablespoons of water and stirring so that the dal doesn’t stick to the pot. Once the oil has separated again, add about 1 cup of water. Cover the pot, and cook on medium low heat until the dal has cooked through, stirring every few minutes. The dal is cooked when you can easily squash one lentil with your fingers. But the trick for cooking good chana dal is to make sure that it’s just cooked enough, but doesn’t lose it’s shape and become mushy. Depending on the quality of your chana dal, you may also need to add a little more water, until it is cooked through. 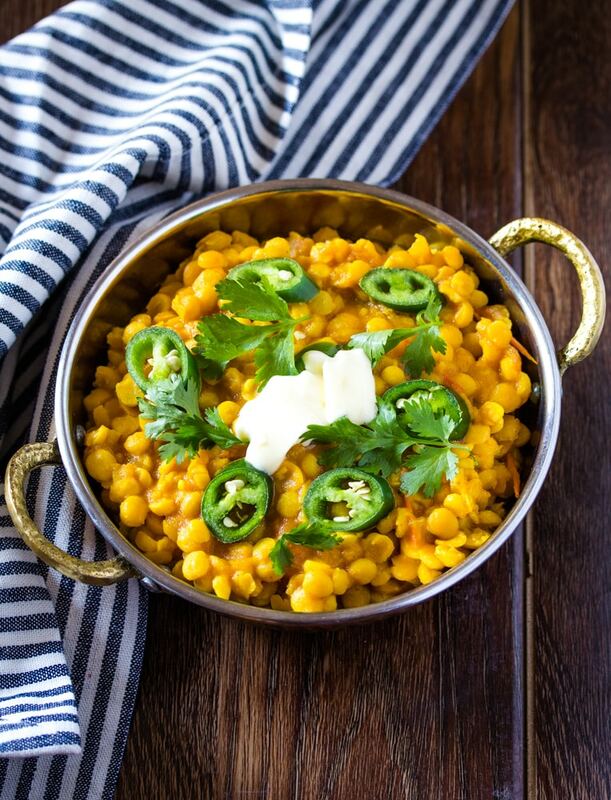 Chana dal takes about 30-40 minutes to cook through, but this may vary a bit. 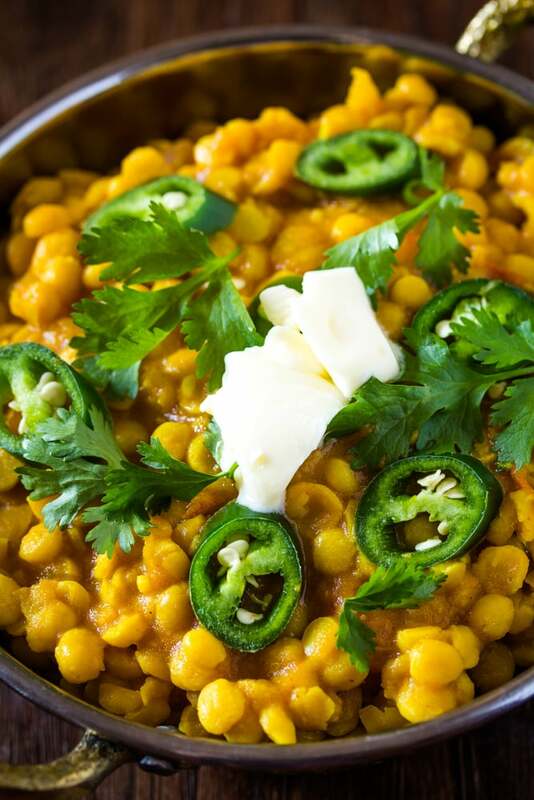 Once the chana dal is cooked, top it with freshly chopped coriander and a couple knobs of butter.